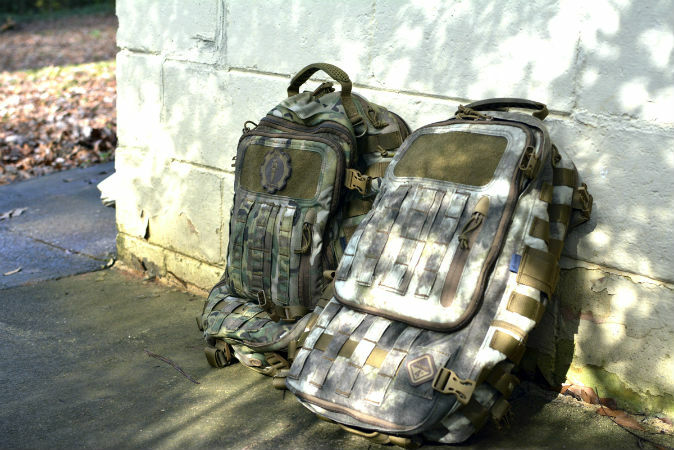 Hazard 4 is a gear maker behind enemy lines in California that caters to the MOLLE every day crowd. One look at their website and you can easily suffer from gear-want overload based on appearance and imagined functionality alone. But does their gear work as well as it looks? 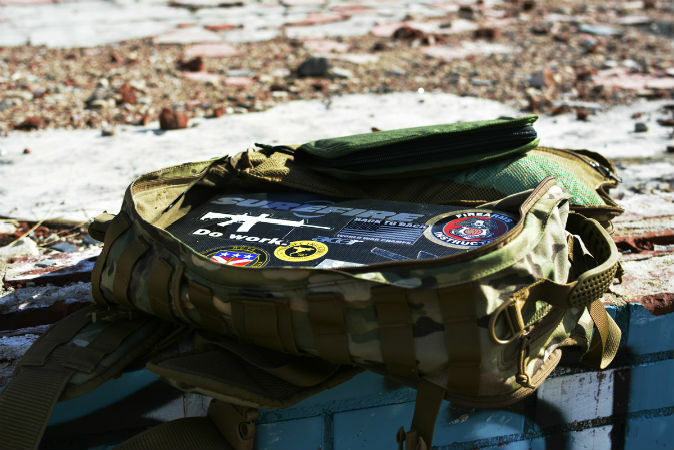 I happened upon Hazard 4 gear back in August 2013 when I was looking for a sling pack camera bag. 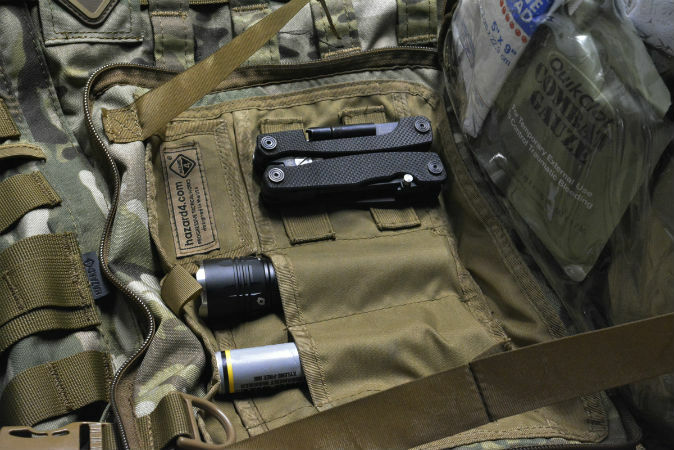 Hazard 4 makes the Evac Plan B bag, which more than fit the bill. I picked one up and have been using it ever since. Not long after that, I ordered their Switchback sling pack for my laptop. Fast forward to last month and I was sent another Switchback for review. Having almost two years of use into the Switchback already, I can offer a pretty in depth use review. First things first: Hazard 4 bags are designed with multiple uses in mind but do their main intended job well. The Switchback is set up for a laptop and the shoulder strap is dedicated to the left shoulder, allowing the bag to be rolled to the chest while worn. The secondary compartment (top most pocket) has sewn-in fabric hinges to keep it from falling totally open when accessed on the chest. The main compartment is a luxurious 17.7”x10.5”x6” which will support all manner of electronics or gear. Behind this is the laptop compartment which has similar dimensions (17.4”x10.5”x.8”) so your laptop is nice and snug. The bag’s padding is thick, but not so stiff that you have to fight with the compartments to free your goods. The laptop compartment is fully dressed out in Velcro, allowing the attachment of Velcro pouches, which makes the Switchback a very ample off-body carry bag. 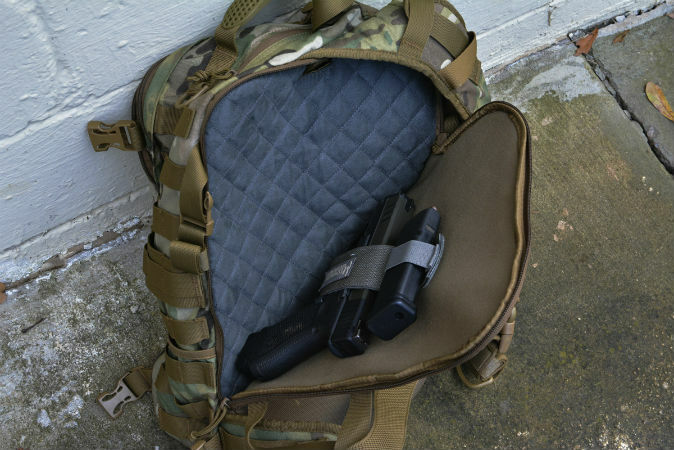 Supporting a full–size handgun, spare magazines and/or a light pouch and rifle mag pouch would not push the size boundaries and even if configured in this way, the main compartment could easily be used to tote your notebook or tablet. The interior of the main compartment is also lined in velcro on the walls, allowing the installation of Hazard 4 padded barriers (sold separately). Besides those three compartments, the Switchback also offers a sunglass pocket and two side pockets. With plenty of storage space it’s not a 3 day pack, it’s an everyday carry bag. 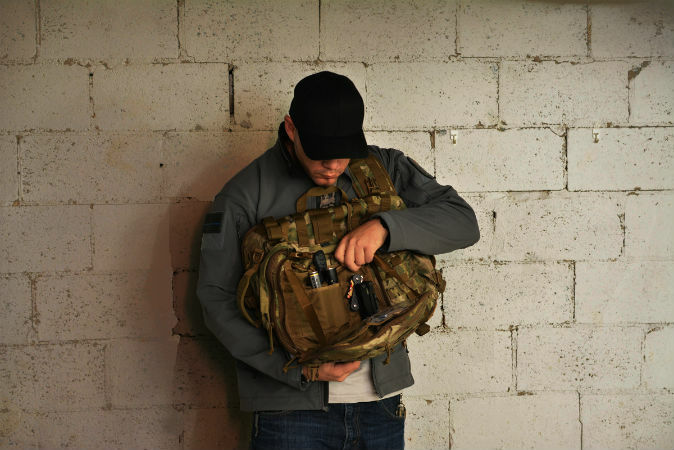 The Switchback is offered in Black, Coyote, Multicam and ATACS. 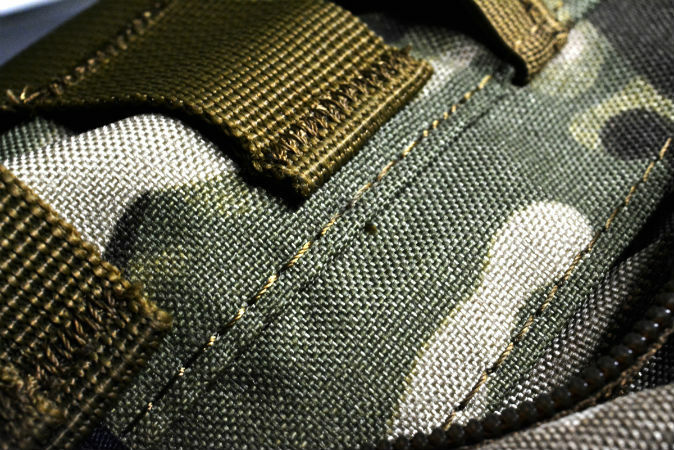 There is (obviously) some MOLLE present on the outside of the bag; the sides have MOLLE in the traditional vertical, whereas the back offers a 4×3 panel on the small pocket in the horizontal to hang pouches so they can be accessed with the bag swung to the chest. Now with all the features out of the way, what does the Swtichback offer in terms of reliability? The sewing is solid, and special attention has been paid to weight bearing areas and closures. The bag’s padding is functional while allowing the bag to compress and bend naturally. 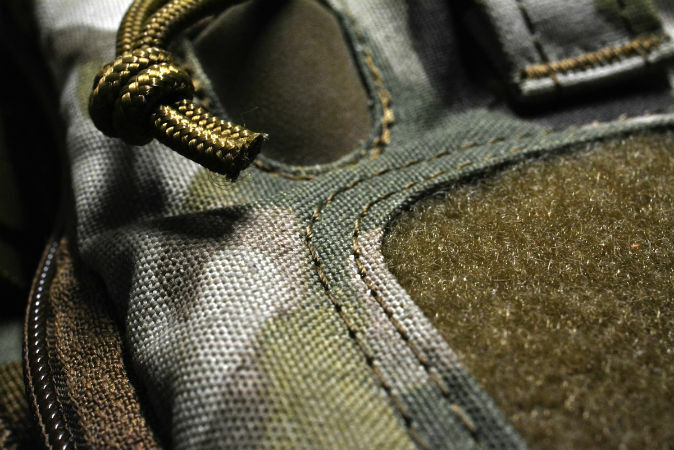 The solid color bags are made of 1000D Cordura, the camo models 500D. I can’t speak for the solid color bags; my first Switchback is a Multicam model and it has both maintained its color over time and remained rip free despite everyday use (well, at least 5 days a week as it serves as my work bag). I’ve carried on and checked the Switchback as luggage when flying, tossed it over a few fences and used it as a shooting rest many times in addition to the more mundane daily hard use a bag can suffer through like being thrown in trunks, closets or into the dirt. The zippers and buckles are in perfect condition as the bag closes in on two years of use; I have no plans to replace it. The Switchback may not fit the needs of those issued Multicam, at least those who venture off the FOB (though for a Fobbit, this may be the tactical deployment gaming support system). 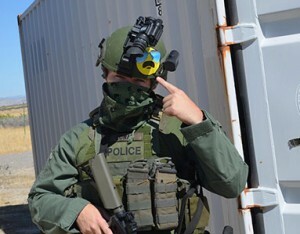 But for CONUS low-visibility metrotactical operations, it’s an awesome bag with one serious drawback: the sling strap is dedicated left shoulder. Some Hazard 4 sling packs allow the shoulder strap to be set up for left or right, which is great, but the Switchback lacks this feature, which is a shame. But that’s really my only complaint. 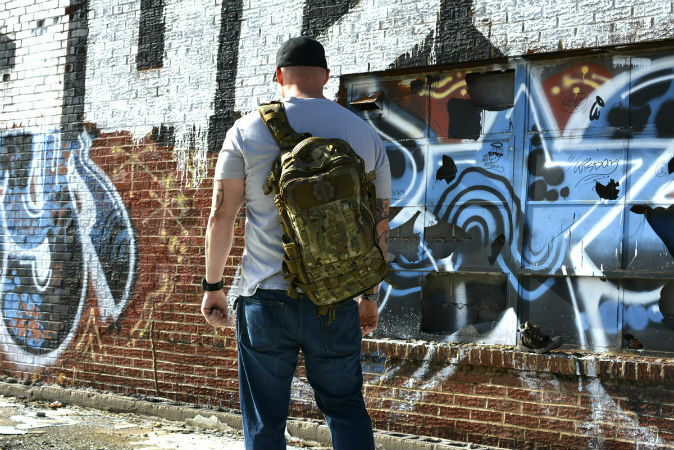 This bag is more than capable of handling any environment you would be willing to take a laptop (and maybe more) and as an off-body carry bag its only drawback is not being offered in a more civilian look. 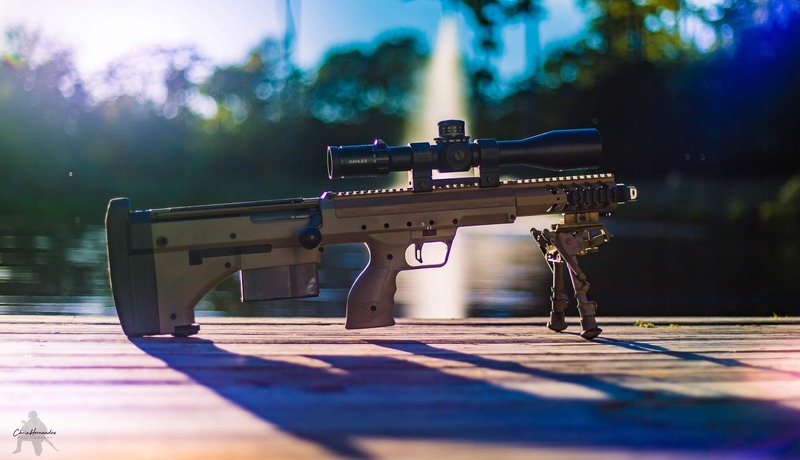 The size is perfect for your folding/collapsible stock sub guns and would support under 10.5” AR pistols well. Those looking for a hard use bag for their upcoming deployment to Pyongyang may need something a little more combat ready (Hazard 4 has you covered there with other models) but if you are a day-to-day more-pavement-than-dirt pipe hitter, want the camo look for your Starbucks computing sessions or are looking for an assault-diaper bag to wow them at the PTA, the Switchback is an excellent choice. Ill be keeping the ATACS on ice until my Multicam model wears out, if that happens.